Avanity HAMILTON-VS60-FW Hamilton 60-in. Double Bathroom Vanity Without Top. Overall Dimensions: 61W x 22D x 35H in.. 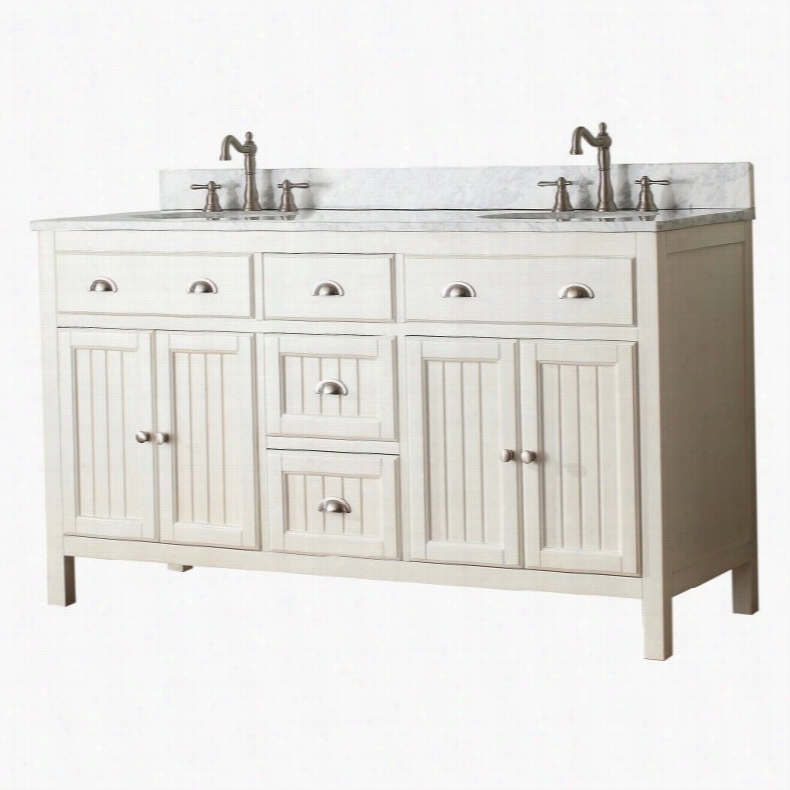 Wide, freestanding traditional-style double vanity. Frame built from engineered wood and solid hardwood. Choose to include 2 matching undermount sinks. Choose from several top options; faucets not included. Surface is pre-drilled for 2 faucet assemblies. Provide your cottage-style master bathroom with an ideal centerpiece in the Avanity HAMILTON-V Hamilton 60 in. Double Bathroom Vanity - French White. This freestanding vanity is constructed from solid poplar hardwood solids and medium-density fiberboard, finished in a beautiful French white. The counter surface is made from solid stone, available in your choice of color; the vanity is also available without a top. Each countertop option is subject to availability. Stone tops come with a matching backsplash and are pre-drilled for easy installation of two 8-inch widespread faucet assemblies (faucets not included). 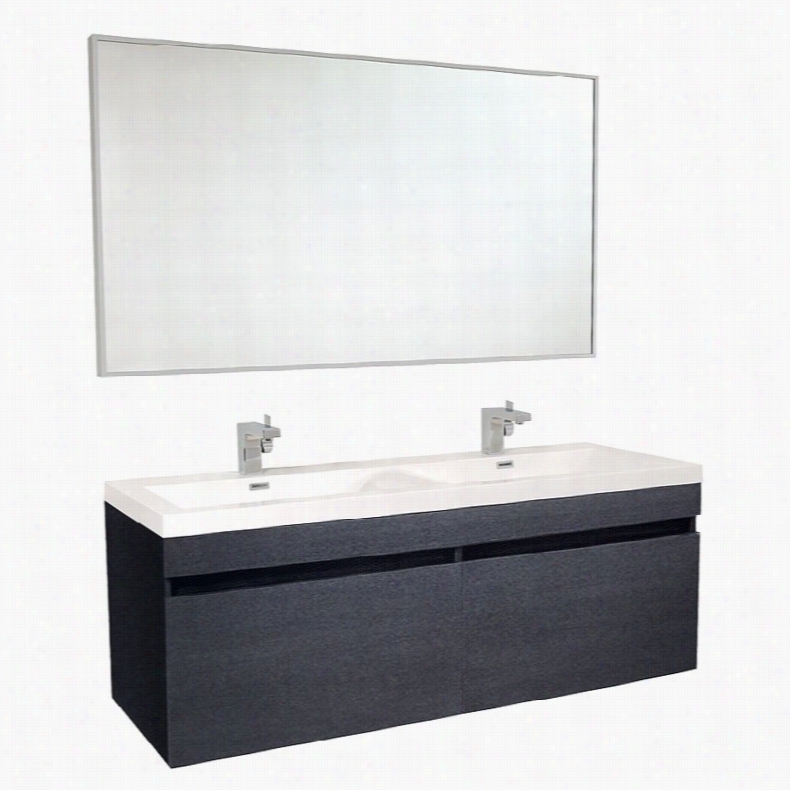 The vanity is available on its own or with two undermount oval vitreous china sink basins. A wealth of storage is provided by two double-door storage cabinets built beneath each sink, each featuring an adjustable shelf. Three soft-closing storage drawers are also incorporated into the design.About Avanity CorporationAvanity's goal has always been to provide the public with the best Products possible at the fairest prices. To this end, their customer service style is about listening to their customer, not just hearing them. Avanity is confident in all of their products and provides a one-year manufacturer's warranty to prove it. Avanity also takes note of increasing market trends to stay ahead of the game and provide the most cutting-edge products available. Color: Without Top. Kohler K-108-4-BN - Widespread Bathroom Sink Faucet. Wyndham Collection WCV161648SCDCMUNRM24 - 48" Single Bathroom Vanity, White Carrera Marble Countertop, Undermount Oval Sink, & 24" Mirror. 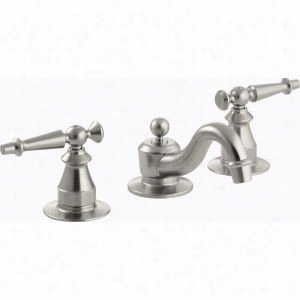 California Faucets 3607-AB - Mini-Widespread Bathroom Faucet (Handle Spread Adjustable). 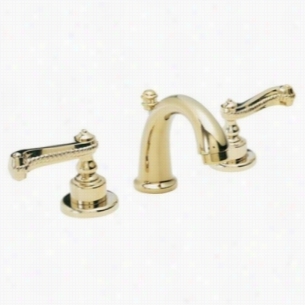 California Faucets 3807-AB - Multi-Series Mini-Widespread Bathroom Faucet. Wyndham Collection WCS141430SESCMUNOM24 - 30" Single Bathroom Vanity, White Carrera Marble Countertop, Undermount Oval Sink, & 24" Mirror. Wyndham Collection WCS141448SESCMUNSM24 - 48" Single Bathroom Vanity, White Carrera Marble Countertop, Undermount Square Sink, & 24" Mirror. Wyndham Collection WCS141430SESIVUNOM24 - 30" Single Bathroom Vanity, Ivory Marble Countertop, Undermount Oval Sink, & 24" Mirror. Fresca FVN8040 56 in. Largo Double Bathroom Vanity. Stunning modern design. Engineered wood vanity. Your choice of finish options. Acrylic double sink. Soft-close drawers. 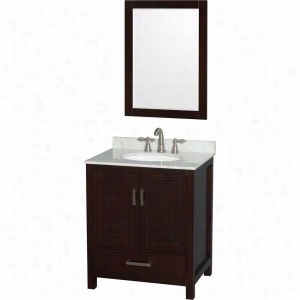 Includes vanity with double sink and full-size Mirror. Includes 2 faucets of your choice with P-traps, pop-up drains, installation hardware. Single-hole wall-mount faucet. Solidly built with an unmistakably modern ethos, the Fresca FVN8040 56 in. 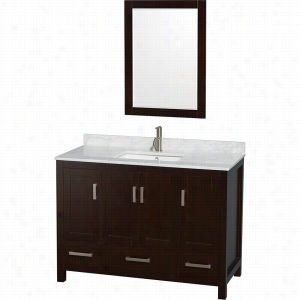 Largo Double Bathroom Vanity is a functional, stylish choice for a variety of settings. Crafted of engineered wood with a stunning laminated teak and walnut veneer in a dark finish, this double-sink set offers exceptional sophistication for the modern master bath. Two full-extension drawers provide storage for the lucky couple's essentials. 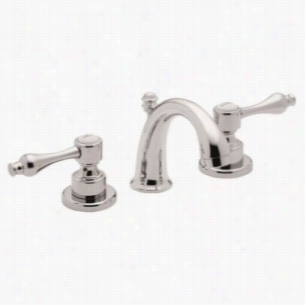 Available with your choice of chrome-finished faucets, you can customize the look. 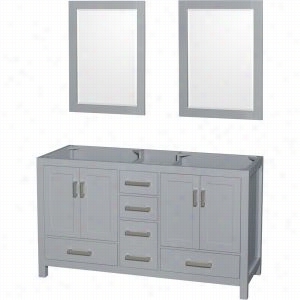 Coordinating hardware is included, along with the full-size mirror, as shown.DimensionsVanity: 56.63W x 20D x 21.63H in.Mirror: 56.75W x 31.5H in.About Fresca BathFresca Bath believes that the bathroom is the most important room in the home. This is why they have created product lines that pair top-quality materials, with cutting-edge designs. No detail is too small when creating a space that looks, functions, and feels great. Fresca Bath showcases contemporary fixtures, vanities, mirrors, and more to create a space that enhances the home and pleases every desire of their customers. Color: White. 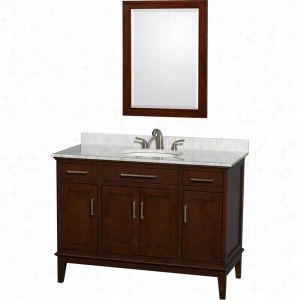 Wyndham Collection WCS141460DGYCXSXXM24 - 60" Double Bathroom Vanity, No Countertop, No Sinks, & 24" Mirrors.